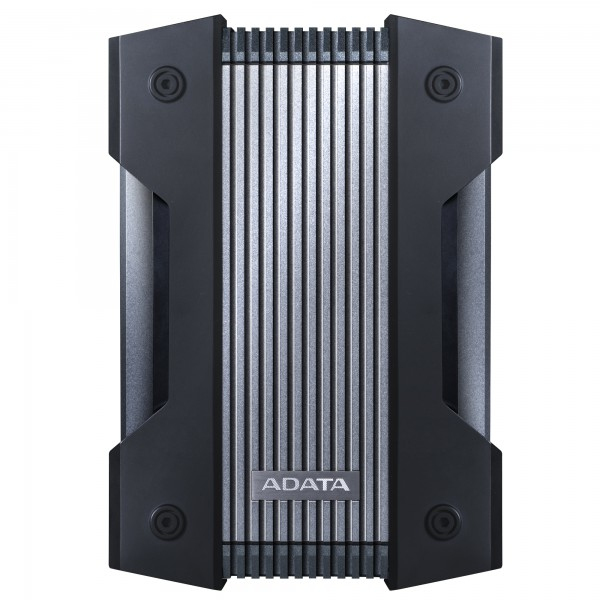 Whereas other external drives might be durable, the ADATA HD830 is virtually indestructible. It features a robust triple-layer construction and sturdy aluminum exterior that can withstand 3000kg of downward pressure. What's more, it's waterproof and dustproof. The HD830 is crafted with a boldly grooved surface with a sandblasted finish and two sturdy side columns that give it the look of a true warrior. The tough aluminum exterior isn't just capable of surviving nasty drops and blunt force, but can also handle 3000kg of downward pressure. That's roughly equivalent to the combined weight of fifty average-sized people. Sometimes the unexpected will happen and when it does, the HD830 is ready! The HD830 exceeds the IP68 rating and is dustproof and waterproof. If you accidentally drop it in water, no worries. It can handle submergence in 2 meters of water for 120 minutes. If it's tough enough for the military, you know it's made to last. The HD830 meets the U.S. Military's MIL-STD-810G 516.6 standard and can survive falls from up to 1.22 meters. A three-layered structure provides complete protection. It includes a tough silicone casing, shock-absorbing buffer, and cushioned mounting that keeps the drive in place. Dropping or shaking a HDD may result in bad sectors and errors. The HD830 features shock sensors that will alert you when an impact or vibration is detected with a blinking red light. In an era of 4K Ultra HD videos and other high-resolution media, you can never have too much storage capacity. The HD830 has you covered with up to 5TB of storage space. To make the HD830 fully water- and dust-tight, just plug up the port with the easy-to-use cover.